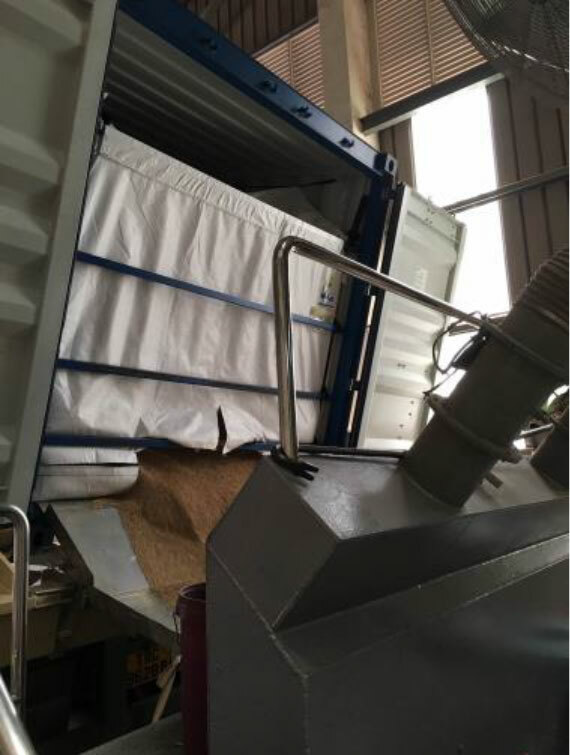 Nestlé Singapore has revolutionised its barley supply chain thanks to A-Ward’s container unloading system, which not only reduced costs but also dramatically improved the hygiene of the company’s working environment. 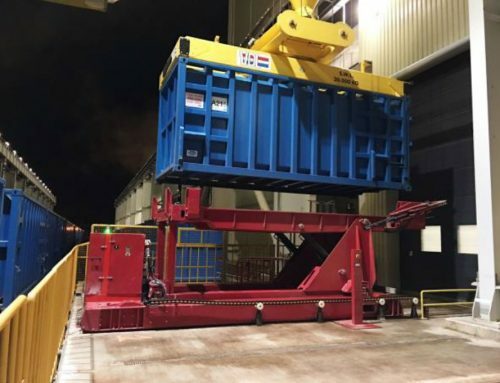 Nestlé challenged A-Ward to design and build a container unloader to enable Nestle to control the handling and unloading of barley from 20ft containers without using the specialised trucks which were contaminating the unloading area. 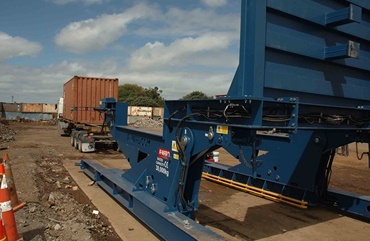 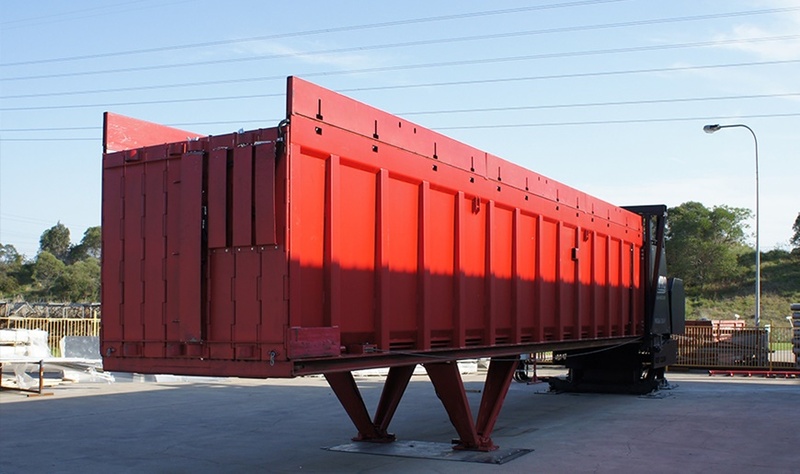 The container unloader was required to remove full 20ft containers from standard trailers (at a height of 1.35m), rise and tilt the lower container edge to a height to 1.5m (to align and integrate with Nestle’s existing ground chute), and fully tilt to up to 50 degrees. 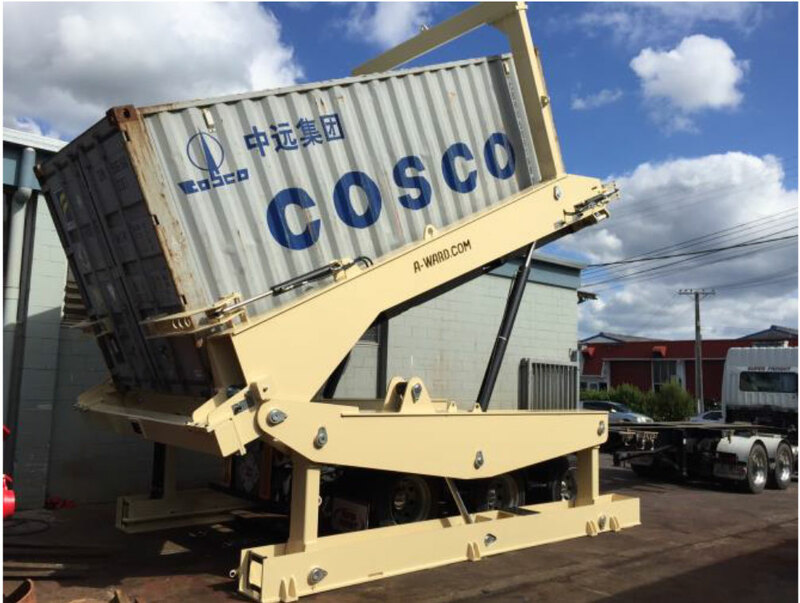 A-Ward designed and built a highly-customised, open, universal-style container unloader. 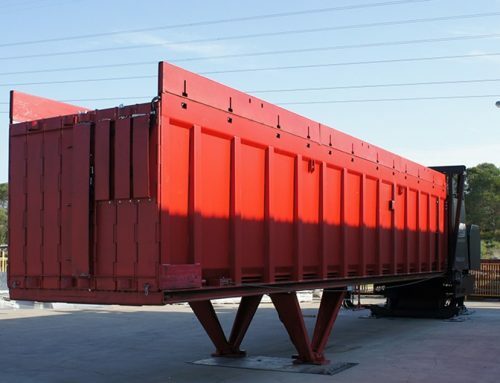 This hydraulically lifts the container up and back, away from the trailer, which provides enough room for the operator to walk safely between the container doors and material distribution chute. 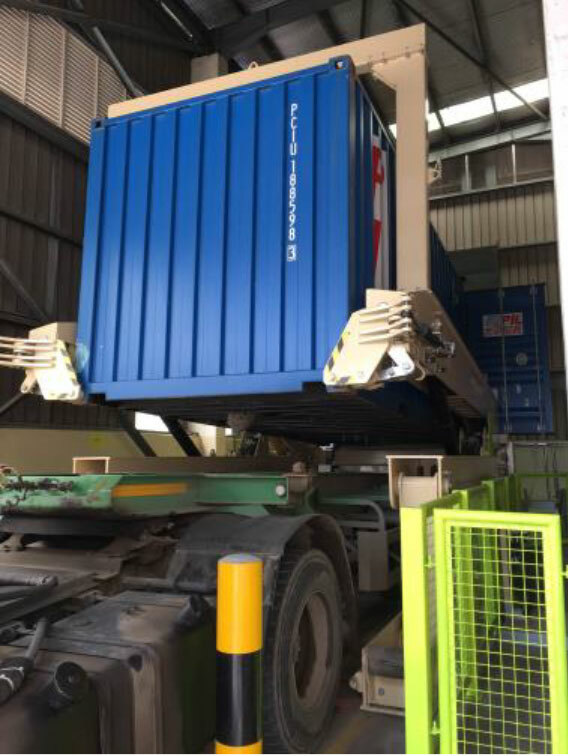 The container doors are manually unlatched when in the low horizontal position and safely held closed with the hydraulic door openers. 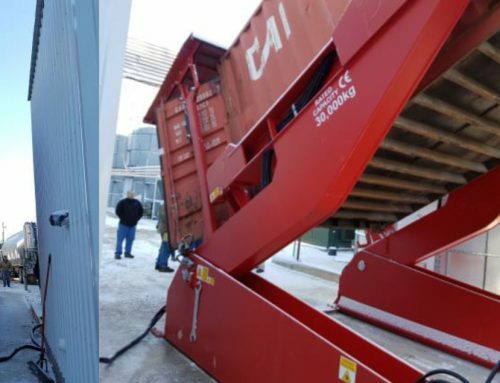 The unloader is a self-contained unit, with its own clean electric power pack. 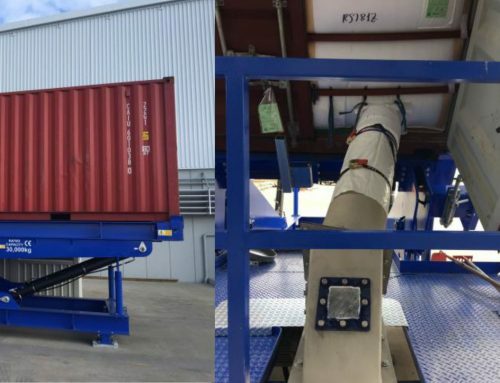 This unique design provides an extremely environmentally clean and a safe, stable base on which to tilt the containers. Click here to find out more about the A-Ward range of container loaders and unloaders.